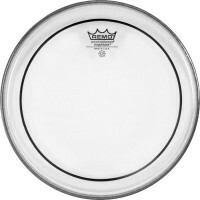 Encore By Remo 10'' Pinstripe Clear The Pinstripe Clear features midrange tones wit..
Encore By Remo 12'' Pinstripe Clear The Pinstripe Clear features midrange tones wit..
Encore By Remo 13'' Pinstripe ClearThe Pinstripe Clear features midrange tones with low-..
Encore By Remo 14'' Pinstripe Clear The Pinstripe Clear features midrange tones wit..
Encore By Remo 16'' Pinstripe Clear The Pinstripe Clear features midrange tones wit..
Encore By Remo 18'' Pinstripe Clear The Pinstripe Clear features midrange tones wit..
Encore By Remo 18'' Pinstripe Clear Bass DrumThe Pinstripe Clear features midrange tones..
Encore By Remo 20'' Pinstripe Clear Bass DrumThe Pinstripe Clear features midrange tones..
Encore By Remo 22'' Pinstripe Clear Bass DrumThe Pinstripe Clear features midrange tones..
Encore By Remo 24'' Pinstripe Clear Bass DrumThe Pinstripe Clear features midrange tones..
Encore By Remo 8'' Pinstripe Clear The Pinstripe Clear features midrange tones with.. 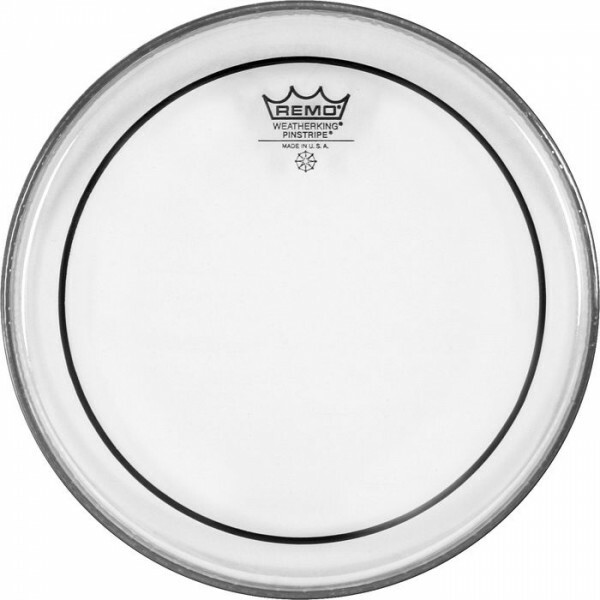 The BLACK SUEDE Emperor drumheads feature 2-plies of textured EBONY 7.5-mil film. 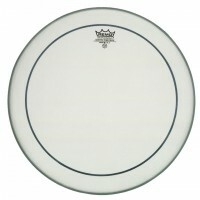 ..
Remo 10'' Colortone Emperor RedThe Emperor Colortone tom batter drumheads feature Skynde..
Remo 10'' Ebony EmperorThe Emperor Ebony features warmth and clarity with focused midran..
Remo 10'' Ebony PinstripeThe Pinstripe Ebony features focused low-end tones with control..
Remo 10'' Emperor Clear The Emperor Clear drumheads feature attack, projection and ..
Remo 10'' Emperor Coated The Emperor Coated drumheads features warm, open tones wit..
Remo 10'' Pinstripe Clear The Pinstripe Clear features midrange tones with low-end ..
Remo 10'' Pinstripe Coated The Pinstripe Coated features midrange tones with low-en..
Remo 10'' Powerstroke 4 Clear The Powerstroke P4 Clear drumheads feature focused lo..
Remo 10'' Powerstroke 4 Coated The Powerstroke P4 Coated drumheads feature controll..
ΔΕΡΜΑ 10''REMO RE-0 RENAISSANCE EMPERORThe Emperor® Renaissance® features a warm, dark tone ..
Remo 10'' Vintage Emperor Clear Emperor Vintage Clear drumheads feature enhanced mi..
Remo 10'' Vintage Emperor Coated A reissue of the first Remo Emperor drumhead that ..
Remo 12'' Colortone Emperor RedThe Emperor Colortone tom batter drumheads feature Skynde..
Remo 12'' Ebony EmperorThe Emperor Ebony features warmth and clarity with focused midra..
Remo 12'' Ebony PinstripeThe Pinstripe Ebony features focused low-end tones with control..
Remo 12'' Emperor Clear The Emperor Clear drumheads feature attack, projection and ..
Remo 12'' Emperor Coated The Emperor Coated drumheads features warm, open tones wit..
Remo 12'' Pinstripe Clear The Pinstripe Clear features midrange tones with low-end ..
Remo 12'' Pinstripe Coated The Pinstripe Coated features midrange tones with low-en..
Remo 12'' Powerstroke 4 Clear The Powerstroke P4 Clear drumheads feature focused lo..
Remo 12'' Powerstroke 4 Coated The Powerstroke P4 Coated drumheads feature controll..
Remo 12'' Powerstroke 77 Coated The Powerstroke 77 Coated Top Clear Dot drumheads f..
ΔΕΡΜΑ 12''REMO RE-0 RENAISSANCE EMPERORRenaissance Emperor heads are warmer than Clear Emper..
Remo 12'' Vintage A Ambassador Coated Ambassador Vintage Coated drumheads fea..
Remo 12'' Vintage Emperor Clear Emperor Vintage Clear drumheads feature enhanced mi..
Remo 12'' Vintage Emperor Coated Emperor Vintage Coated drumheads feature enhanced ..
Remo 13'' Colortone Emperor RedThe Emperor Colortone tom batter drumheads feature Skynde..
Remo 13'' Colortone Powerstroke 77 RedThe Powerstroke 77 Colortone snare batter drumhead..
Remo 13'' Ebony EmperorThe Emperor Ebony features warmth and clarity with focused midra..
Remo 13'' Ebony PinstripeThe Pinstripe Ebony features focused low-end tones with control..
Remo 13'' Emperor Clear The Emperor Clear drumheads feature attack, projection and ..
Remo 13'' Emperor Coated The Emperor Coated drumheads features warm, open tones wit..
Remo 13'' Pinstripe Clear The Pinstripe Clear features midrange tones with low-end ..
Remo 13'' Pinstripe Coated The Pinstripe Coated features midrange tones with low-en..
Remo 13'' Powerstroke 4 Clear The Powerstroke P4 Clear drumheads feature focu..
Remo 13'' Powerstroke 4 Coated The Powerstroke P4 Coated drumheads feature controll..
Remo 13'' Powerstroke 77 Coated The Powerstroke 77 Coated Top Clear Dot drumheads f..
Remo 13'' Vintage A Ambassador Coated Ambassador Vintage Coated drumheads fea..
Remo 13'' Vintage Emperor Clear Emperor Vintage Clear drumheads feature enhanced mi..
Remo 13'' Vintage Emperor Coated Emperor Vintage Coated drumheads feature enhanced ..
Remo 14'' Black Suede Emperor XThe Emperor X Black Suede Bottom Black Dot Provides Xtrem..
Remo 14'' Colortone Emperor RedThe Emperor Colortone tom batter drumheads feature Skynde..
Remo 14'' Controlled Sound Emperor Coated Black DotControlled Sound Emperor double-ply d..
Remo 14'' Ebony EmperorThe Emperor Ebony features warmth and clarity with focused midra..
Remo 14'' Ebony PinstripeThe Pinstripe Ebony features focused low-end tones with control..
Remo 14'' Emperor Clear The Emperor Clear drumheads feature attack, projection and ..
Remo 14'' Emperor Coated The Emperor Coated drumheads features warm, open tones wit..
Remo 14'' Emperor X Coated Black DotThe Emperor X Coated features focused mid and ..
Remo 14'' Pinstripe Clear The Pinstripe Clear features midrange tones with low-end ..
Remo 14'' Pinstripe Coated The Pinstripe Coated features midrange tones with low-e..
Remo 14'' Powerstroke 4 Clear The Powerstroke P4 Clear drumheads feature focused lo..
Remo 14'' Powerstroke 4 Coated The Powerstroke P4 Coated drumheads feature controll..
Remo 14'' Powerstroke 77 Clear The Powerstroke 77 Clear Top Clear Dot drumheads fea..
Remo 14'' Powerstroke 77 Coated The coated Powerstroke 77 features two-plies of 7-..
ΔΕΡΜΑ 14''REMO RE-0 RENAISSANCE EMPERORRenaissance Emperor heads are warmer than Clear Emper..
Remo 14'' Vintage Emperor Clear Emperor Vintage Clear drumheads feature enhanced mi..
Remo 14'' Vintage Emperor Coated Emperor Vintage Coated drumheads feature enhanced ..
Remo 15'' Emperor CoatedThe Emperor Coated drumheads features warm, open tones with incr..
Remo 16'' Black Suede Emperor Bass DrumThe Emperor Black Suede features focused, warm t..
Remo 16'' Colortone Emperor RedThe Emperor Colortone tom batter drumheads feature Skynde..
Remo 16'' Ebony EmperorThe Emperor Ebony features warmth and clarity with focused midran..
Remo 16'' Ebony PinstripeThe Pinstripe Ebony features focused low-end tones with control..
Remo 16'' Emperor Clear The Emperor Clear drumheads feature attack, projection and ..
Remo 16'' Emperor Coated The Emperor Coated drumheads features warm, open tones wit..
Remo 16'' Pinstripe Clear The Pinstripe Clear features midrange tones with low-end ..
Remo 16'' Pinstripe Clear Bass DrumPinstripe heads are made with two 7-mil Mylar plies, ..
Remo 16'' Pinstripe Coated The Pinstripe Coated features midrange tones with low-e..
Remo 16'' Powerstroke 4 Clear The Powerstroke P4 Clear drumheads feature focu..
Remo 16'' Powerstroke 4 Coated The Powerstroke P4 Coated drumheads feature controll..
Remo 16'' Vintage A Ambassador Coated Ambassador Vintage Coated drumheads fea..
Remo 16'' Vintage Emperor Clear Emperor Vintage Clear drumheads feature enhanced mi..
Remo 16'' Vintage Emperor CoatedEmperor Vintage Coated drumheads feature enhanced mid an..
Remo 18'' Black Suede Emperor Bass DrumThe Emperor Black Suede features focused, warm t..
Remo 18'' Colortone Emperor RedThe Emperor Colortone tom batter drumheads feature Skynde..
Remo 18'' Ebony EmperorThe Emperor Ebony features warmth and clarity with focused midra..
Remo 18'' Ebony Pinstripe The Pinstripe Ebony features focused low-end tones with c..
Remo 18'' Ebony Pinstripe Bass DrumThe Pinstripe Ebony features focused low-end tones wi..
Remo 18'' Emperor Clear The Emperor Clear drumheads feature attack, projection and ..
Remo 18'' Emperor Coated The Emperor Coated drumheads features warm, open tones wit..
Remo 18'' Pinstripe Clear The Pinstripe Clear features midrange tones with low-end ..
Remo 18'' Pinstripe Coated The Pinstripe Coated features midrange tones with low-e..
Remo 18'' Pinstripe Coated Bass DrumThe Pinstripe Coated features midrange tones with l..
Remo 18'' Powerstroke 4 Clear The Powerstroke P4 Clear drumheads feature focused lo..